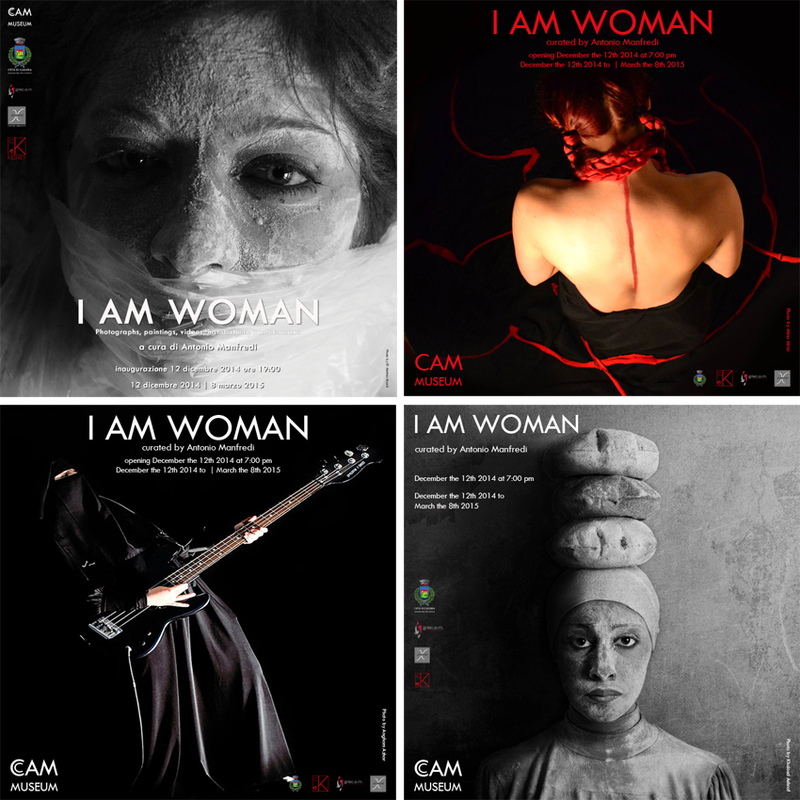 On December the 12th at 7 pm CAM museum inaugurates the exhibition I am woman, curated by Antonio Manfredi, with paintings, photographs, installations, videos and performances made by women for women. 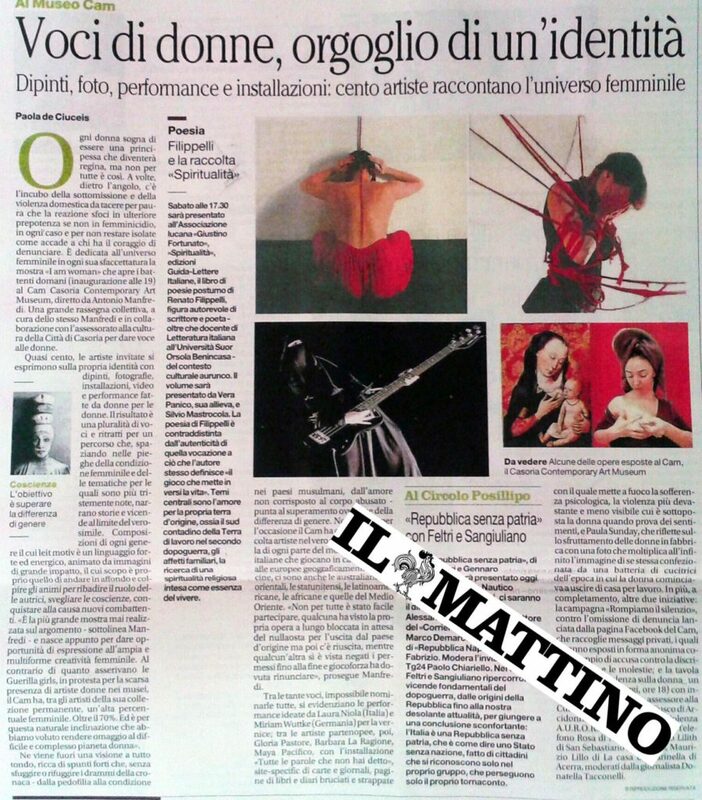 day of the exhibition I am woman as samples of denouncing. The meeting Violence on women_ a concrete help is taking place on the opening day of the exhibition I am woman, on December the 12th at 6 pm at CAM, with the participation of Luisa Marro, Department of Culture of the City of Casoria, Maria Fusco, from Arcidonna Napoli Onlus managing the antiviolence center “ A.U.R.O.R.A.” of Napoli, Barbara Abazia, from the volounteer association Telefono Rosa of Napoli, a deputy from Sportello Lilith San Sebastiano al Vesuvio, Maurizio Lillo, from La casa di Marinella onlus Acerra, Donatella Tacconelli, Repubblica, introducing.